Rubber Roofing Contractor Sturgis, Mi. 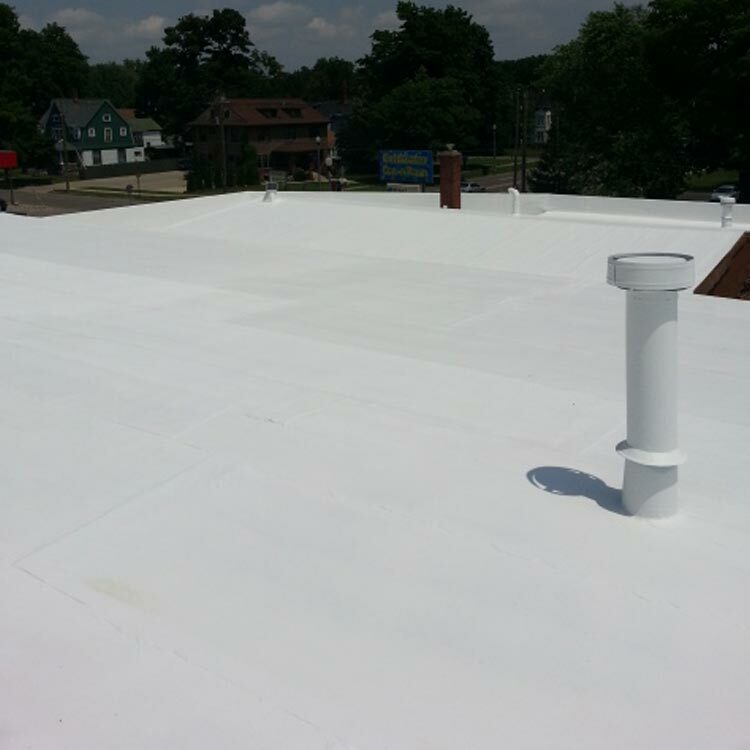 Commercial Painting Services is an Elastomeric Commercial Rubber Roofing Contractor for Sturgis and all of St. Joseph County, Michigan. 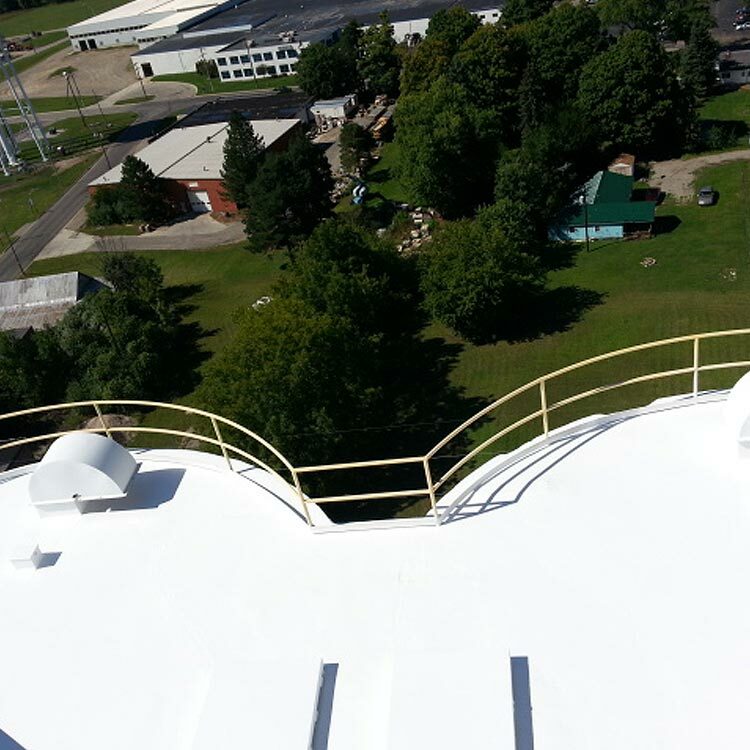 We perform Spray on Rubber Roof Coatings, Flat Rubber Roof Coatings, Elastomeric White Rubber Roofing, Metal Roof Painting, Liquid Roofing, Industrial Fluid Applied Roofing, & White Reflective Roof Coatings in Sturgis, Michigan, and the surrounding areas. We are a well established Sturgis Roofing Contractor with almost 20 years of service and experience. 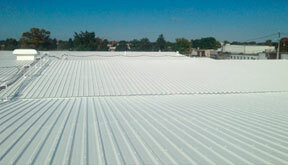 Our industrial roofing crew are very knowledgeable, dedicated to perfection, always focused on safety, and all have received professional training in proper preparation and coating techniques. We do pride ourselves in our attention to detail, safety record, and completing your projects on schedule. If you are new to Elastomeric Spray on White Rubber / Reflective Roofing Technology, please have a look at the Rubber Roofing F.A.Q. below. Elastomeric comes with a 10 or 15 year warranty and qualifies for Federal Tax / LEED Credits as it is a “Cool Roof” and is Energy Star Rated. Fluid Applied Roofing expands and contracts and will stand up to even the most brutal Detroit weather. With a proper maintenance plan, your new Elastomeric Roof can also be the last roofing system your facility will ever need. Commercial Painting Services offers Free Onsite Consultations and Free Estimates. Call (517) 639-1464 today to get on the schedule. We look forward to meeting you and to discuss your new Commercial Roofing Project! Fluid Applied Roofing is an excellent option for most Industrial / Commercial roof-types because it extends the life of your existing roof. With the proper maintenance, a Fluid Applied Roof System can be the last roof your building will ever need. Renewable warranty options are 10 or 15 years. Maintaining your roof can easily be the most expensive capital expenditure year after year. Fluid Applied Roofing is the most long-term, cost effective roofing solution available on the market today. Fluid Applied Roofing Systems cost typically 30 – 50% less than any other option. Call today for your free onsite consultation. Elastomeric Fluid Applied Roofing F.A.Q. Q: What is Elastomeric Rubber Roofing? A: Elastomeric Roof Coatings are entirely sprayed onto your existing roof. 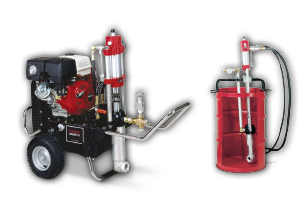 It is very flexible monolithic coating that isn’t as susceptible to cracking, peeling, crazing, and leaking as all of the other options because it is the only method that is completely seamless. 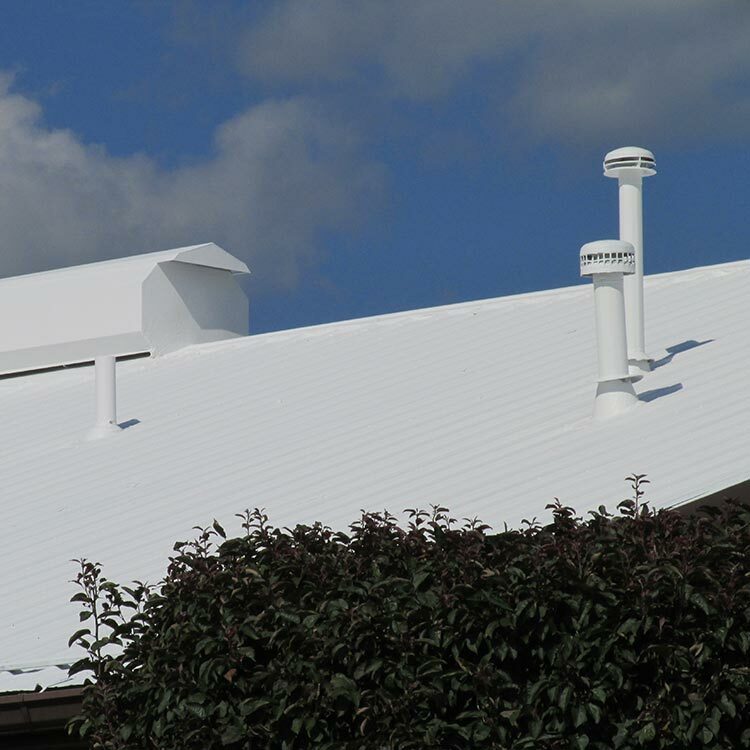 Elastomeric Roofing is a white rubber that is sprayed on in multiple coats that protects against damaging UV rays as well as the harsh temperature changes between winter and summer. Elastomeric Coatings are Energy Star Rated and offer renewable warranties / LEED Credits. Elastomeric White Rubber Roof Coatings come with up 10 or 15 year warranty. 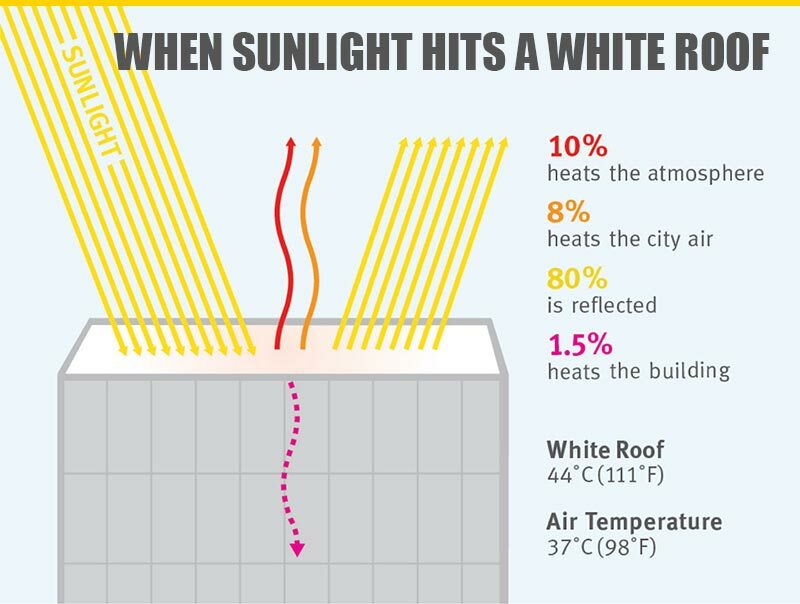 Q: What is a Cool Roof? A: Elastomeric Roof Coating is an energy efficient, affordable, long lasting roofing system. Elastomeric typically pays for itself with reduced cooling bills and federal tax / LEED Credits incentives. It is and Energy Star “Cool Roof” rated system that is recognized and approved by the EPA and has become famous not only for its energy savings, but for it’s durability as well. Typically, every roof is a candidate for Elastomeric White Spray On Rubber Roofing as long as the existing roof is still in decent repair. Our free onsite consultations can determine if there are any issues that would keep you from installing your new Elastomeric Roof. We look forward to meeting you and discussing your options. Q: What is Fluid Applied Roofing? 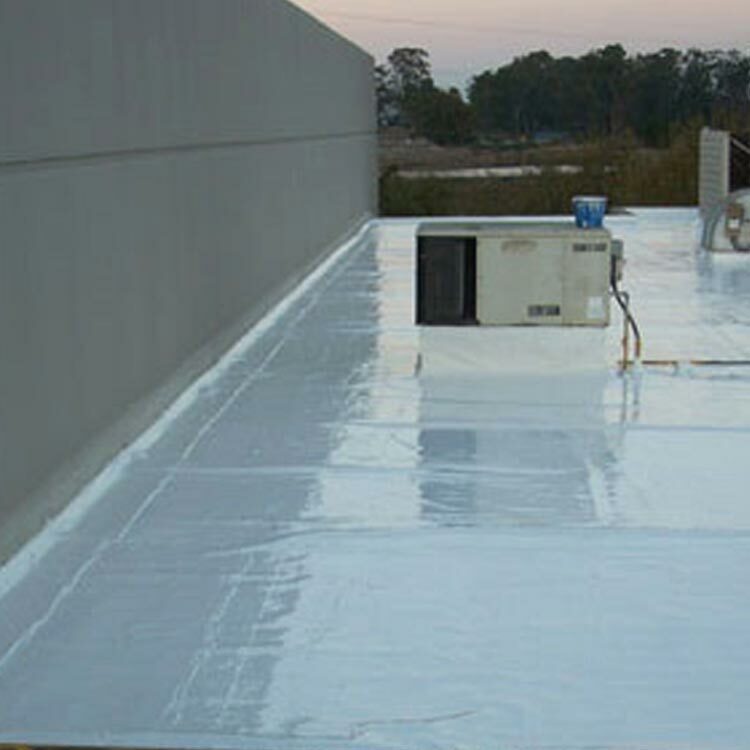 A: Commercial Painting Services is a certified installer of Uniflex (Elastomeric), Fluid Applied Roofing Systems. We have over 15 years experience and have seen just about every possible scenario. We take the time to properly prepare your roofing surface to get the full benefit out of your new spray on roof coating. While not every roof is a candidate for Uniflex / Elastomeric, the overwhelming odds are in your favor that yours is. Call today and let’s do a risk-free inspection. It’s free! (517) 639-1464. 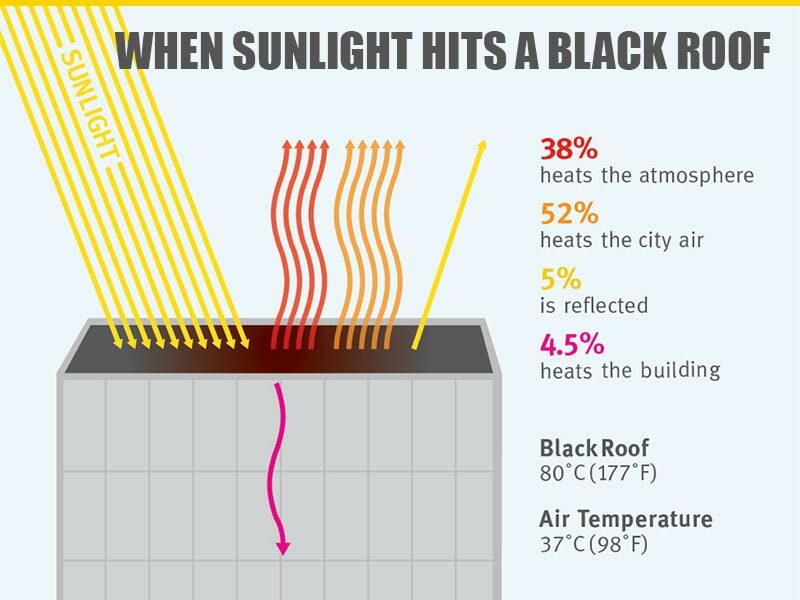 Q: How is Elastomeric Roof Coatings different than Roof Paint? A: Roof Paint systems consist of traditional painting materials that are designed to adhere in couple of thin coats and do not have the ability to waterproof or flex like Elastomeric Roof Coatings. Traditional roof paints are not a bad choice for metal roofs that have never leaked in the past. 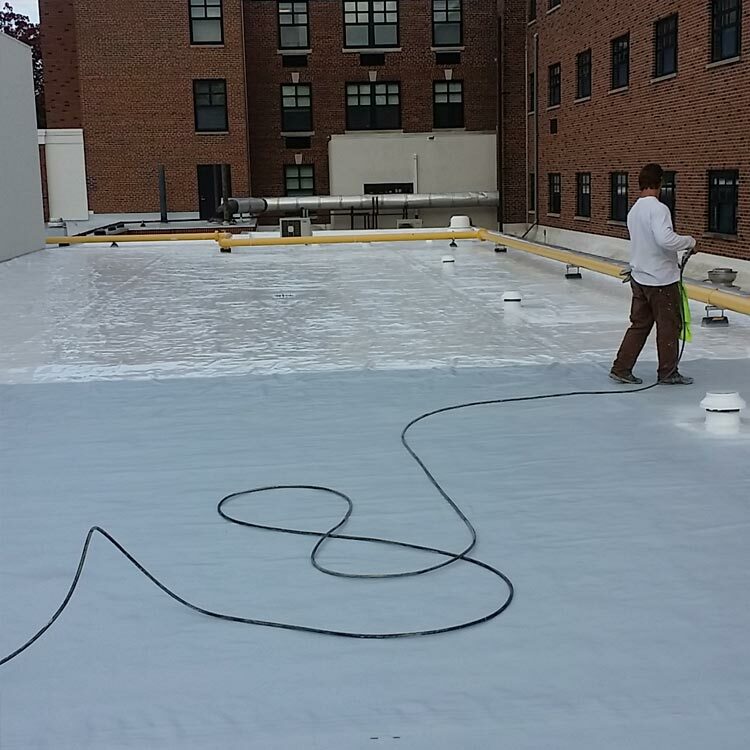 Elastomeric coatings are part of a waterproofing system that are matched to your roofing membrane with special materials that will reinforce all flashing, fasteners, seams, and protrusions. Your roof is made water tight before the roof is coated. The roofing spec is matched to your roofing membrane whether it’s single ply, asphalt, concrete, polyurethane foam, or metal. Once we apply all of the waterproofing steps along with the fluid applied coating your roof becomes a completely seamless membrane. Q: How long is an Elastomeric Warranty? A: Uniflex comes with its UNIGUARD™ Warranty. UNIGUARD™ 10 and 15-year systems warranties provide comprehensive protection and coverage for a professionally installed UNIFLEX Fluid Applied Roofing system. A full line of coatings, flashing materials, seam tapes, reinforcing fabrics, sealants and other UNIFLEX branded products are used in these installations, creating a completely watertight and fully enveloped roof system. Ian & his crew did a Great Job repainting our Office Building . They were all so professional . I am pretty sure we changed our minds at least 10 times about the color/ trim etc. but they never once complained ,they just said Ok we can do that . Our building looks so wonderful now with the new paint and they did such an awesome job that we will be calling them back as soon as we get approval to repaint the inside warehouse . Thanks for all your hard work guys ! or fill out our online form today. Use our online quote system and a project manager will be in touch. See how your roofing investment can be protected. Clients looking for big industrial painting companies with experience in commercial painting projects in Michigan MI, Ohio OH, or Indiana IN should review our project services and testimonials and you will realize we’re your best choice fora professional painting contractor. Our paint contractor services are: industrial ceiling painting, flat roof coatings, tank painting, metal roof painting, metal siding painting, Elastomeric roof coatings, rubber roof coatings, pressure washing, epoxy floors, urethane floors, concrete floor polishing, industrial pressure washing, shopping plaza painting, factory painting, industrial flooring, flat roof painting, metal roof coatings, and project management. ​Our service area in Michigan MI (Detroit, Grand Rapids, Southfield, Lansing, Ann Arbor, Jackson, Monroe, Adrian, Hillsdale, Coldwater, Sturgis, Niles, Kalamazoo, Battle Creek, Three Rivers, Benton Harbor, Flint, Holland, Bay City, Saginaw, Troy, Sterling Heights, Pontiac, Auburn Hills, Warren, Dearborn, Canton, Novi, Brighton, Ypsilanti, Livonia, Eaton Rapids, Paw Paw, South Haven, Holland, Portage, Charlotte, St. Johns, and all of Mid to Lower Michigan and Michiana. Service area in Indiana IN - Angola, Fort Wayne, Auburn, Kendallville, Elkhart, South Bend, Goshen, Mishawaka, Indianapolis, Warsaw, Logansport, Wabash, Huntington, Marion, Gary, Portage, Michigan City, Michiana, Shipshewana, Middlebury, Howe, Bristol, Lakeville, Syracuse, Huntertown, Rochester, Plymouth, Westville, Valparaiso, Merrilville, Hammond, La Porte, and all of North West Indiana. Service area in Ohio OH - Toledo, Bowling Green, Sylvania, Wauseon, Archbold, Defiance, Findlay, Bryan, Perrysburg, Dayton, ​Holiday City, Wauseon, Montpelier, Sherwood, Napoleon, Liberty Center, Sylvania, Maumee, Oak Harbor, North Baltimore, Holgate, Van Wert, Delphos, Lima, Sandusky, Sycamore, Fremont, Cleveland, and all of North East Ohio. Other states serviced are Kentucky KY, Illinois IL, and Pennsylvania PA.
Painting Company Ann Arbor Mi. Painting Company Auburn Hills Mi. Painting Company Battle Creek Mi. Painting Company Benton Harbor Mi. Painting Company East Lansing Mi. Painting Company Eaton Rapids Mi. Painting Company Grosse Pointe Mi. Painting Company New Buffalo Mi. Painting Company Paw Paw Mi. Painting Company South Haven Mi. Painting Company Sterling Heights Mi. Painting Contractors East Lansing Mi. Painting Contractors Grand Ledge Mi. Concrete Polishing Fort Wayne IN. Concrete Polishing Michigan City IN. Concrete Polishing South Bend IN. Metal Roof Repair Angola IN. Metal Roof Repair Auburn IN. Metal Roof Repair Avon IN. Metal Roof Repair Bluffton IN. Metal Roof Repair Brownsburg IN. Metal Roof Repair Carmel IN. Metal Roof Repair Elkhart IN. Metal Roof Repair Fishers IN. Metal Roof Repair Fort Wayne IN. Metal Roof Repair Gary IN. Metal Roof Repair Goshen IN. Metal Roof Repair Howe IN. Metal Roof Repair Indianapolis IN. Metal Roof Repair Lafayette IN. Metal Roof Repair Lebanon IN. Metal Roof Repair Merrillville IN. Metal Roof Repair Michigan City IN. Metal Roof Repair Mishawaka IN. Metal Roof Repair Noblesville IN. Metal Roof Repair Plainfield IN. Metal Roof Repair Plymouth IN. Metal Roof Repair Shipshewana IN. Metal Roof Repair South Bend IN. Metal Roof Repair Speedway IN. Metal Roof Repair Valparaiso IN. Metal Roof Repair Warsaw IN. Metal Roof Repair Westfield IN. Metal Roof Repair Westville IN. Metal Roof Repair Zionsville IN. Painting Contractors Fort Wayne IN. Painting Contractors South Bend IN.